The Kauto Star Novices' Chase is a Grade One National Hunt chase run at Kempton Park on Boxing Day. The distance is over 3 miles, where there are eighteen fences to be jumped. This race - originally known as the Feltham, is exclusive for novice chasers. The 2012 running additionally carried the name of Kauto Star, who won the Boxing Day feature (King George VI Chase) five times in his illustrious career. Lizzie Kelly' made history in 2015 with victory on Tea For Two, making her the first female jockey to win a Grade One race in Britain. Like any old great race, some serial Champions have won this on route to bigger and better things, including Coneygree in 2014, who became the first Novice to win the Gold Cup in over forty years. Three miles for Novices, this race is the perfect stepping stone for a horse hoping to go down the Gold Cup route in twelve months time. Before that though, the RSA Chase at the Cheltenham Festival is traditionally the next port of call, or for those that want further, potentially the four-miler. Ten of the last fifteen winners chose the former and went on the race in the RSA. None of them won, but perhaps fortunes would of been different had Might Bite not fallen at the last in this race in 2016, before winning the Grade One three-mile Novice Chase at Cheltenham three months later. Coneygree as mentioned was the one exception, who stuck his head out the window of novice company, and challenged the big boys that same season. It proved an excellent decision by the Bradstock's, as their stable-star became the first Novice to win the Gold Cup since 1974, but it is a rarity. Approaching the halfway mark through the season, or perhaps a third of it, all the last fifteen winners had raced within the last six weeks, proving they were fitter and sharper as a result of their return run. 11 of those had won last time out, with an extra three finishing in the places. Ten of the last fifteen winners had won at least twice over fences in the UK, with two less winning a chase over three miles before. Seven of the last fifteen winners had also raced at Newbury in their most recent run, whereas two previously came from Cheltenham. Half of the renewals since 2004 had been won by the favourite and one extra placing, with ten of the last fifteen returning at 5/2 or shorter in the betting. 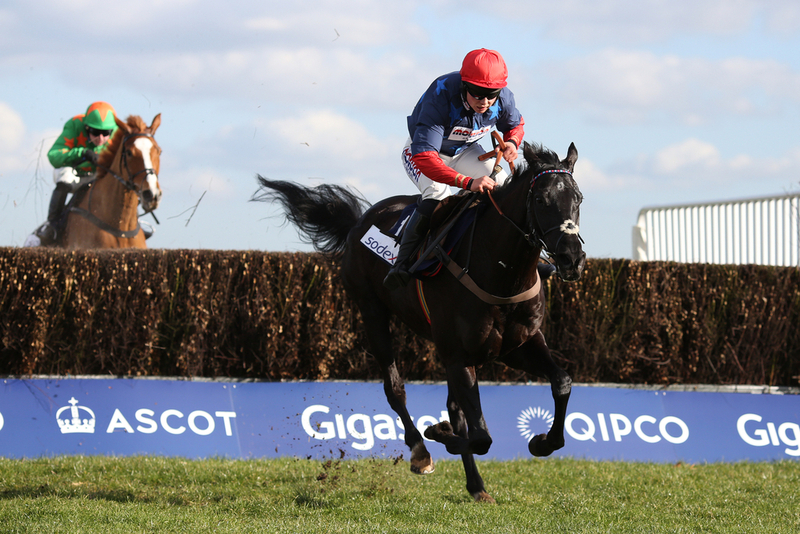 Paul Nicholls has had three winners since 2003 - most recently Black Corton twelve months ago, with David Pipe winning two of the last fifteen - both coming back to back in 2011/12. Ruby Walsh and Tom Scudamore both have two winners, and could both be jockeys to follow. This race is no stranger to drama, with plenty of unseats and fallers in recent years, so a front-runner setting a brisk gallop could be the trend to follow.